I don't know if it is the psychologist in me or what. But, I like to hear the story behind the story. What makes authors write what they do? From where does the story come? So, I decided to tell the story behind my stories. I hope you enjoy both the stories themselves and the "stories behind the stories." 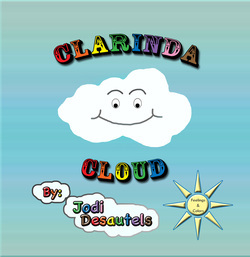 "Clarinda Cloud" was born, mainly because I am a novice illustrator. Yet, I wanted to try, because I have quite a few children's stories inside of me. I was practicing and posting some of my pictures on Facebook. So, a friend suggested that I write a book that matched my illustrating capabilities before I try to make my illustrating capabilities match my writing. This turned out to be a fabulous idea! I thought about the things I could draw. I also wanted to practice drawing faces, but knew I did not want to tackle drawing people yet. So, the psychologist in me kicked in again, and I decided to create a book on feelings. I wanted to make an animal in the story. I had already drawn a bunny and a duck in my practice drawings. So, I looked at the array of children's stuffed animals that I have at my house and came across the stuffed turtle that looks similar to the one in the story. It didn't take me long to figure out the perfect story that would match my illustrating capabilities. 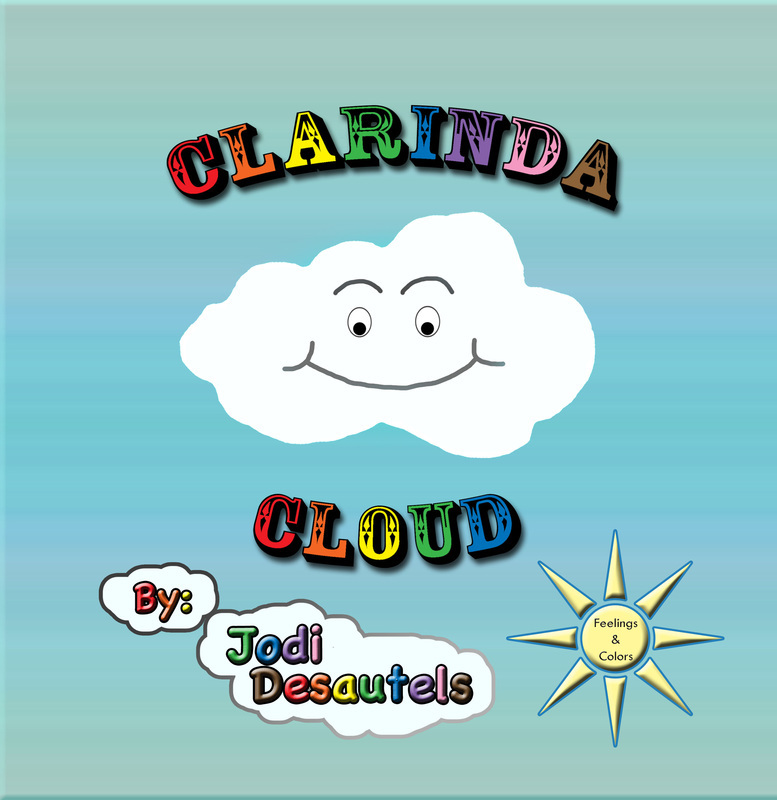 And, Clarinda Cloud was born. I learned quite a bit with this book. It was the first book that I illustrated and the first book that I formatted myself. I researched and used various art/illustrating programs as well as learned valuable information about image editing and manipulation. Formatting with full bleed for this size book was also a valuable skill I learned with the development with this book. ~ "I don't like to read." ~ "Reading is too hard." ... I knew that I wanted to write a story that would send a valuable message about reading. "Reading can be fun!" My difficulty would be in figuring out how I wanted to relay that message. I wanted to show that reading bring you on an adventure. But, it took me a little while to figure out what that adventure would be like. Then, it donned on me. When, I taught kindergarten, one of the students' favorite units was the space unit. So, this story has a space theme to it. 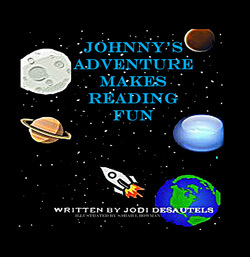 "Johnny's Adventure Makes Reading Fun" went through quite a bit to get to where it is now though. It was originally going to be published through someone else. But, it ended up being the first book that turned me on to self-publishing. Also, it was a different size and was not full bleed in the first edition. After seeing how well, "Clarinda Cloud" looked having illustrations with full bleed and this size, I reformatted "Johnny's Adventure Makes Reading Fun" to this new size with full bleed. I used the same illustrations I had bought for the first edition of this book, by author/illustrator Sarah Bowman. I just resized and reformatted them.